Are you reading this post on your mobile device? According to GlobalWebIndex, there is a very good chance that you are. HubSpot states 80.8% of users report reading email on mobile devices. Figures from comScore suggest 65% of social-media usage occurs on mobile. Even Google announced recently that it has changed its search algorithms to factor in a website’s mobile-friendliness when ranking it in search results. The mobile revolution has hit all corners of the online world, and the display-advertising industry is not immune to the turning tides. In an industry traditionally dominated by desktop ads, the rise of mobile usage is leading advertisers to shift their spending away from desktop and towards mobile advertising. Mobile ad spending is set to grow by $37.15 billion between 2015 and 2019. Ad spending for desktop will decrease by $7.09 billion between 2015 and 2019. The percentage of digital ad spending made up by mobile advertising will also increase over the next few years, and by 2019, will account for 72% of all digital media purchases. While it is clearly evident that mobile advertising is set to dominate the online display industry, it will also underline a number of challenges that are currently plaguing advertisers wishing to optimize their campaigns on mobile. The main challenge facing the industry relates to something that advertisers have relied on for years in desktop advertising – the noble cookie. Most Internet users don’t give notifications like this a second thought and actually appreciate the ease that first-party cookies offer (e.g. remembering login details, language preferences, etc. ), but some are starting to take action and change cookie settings to reflect their privacy preferences. By deleting or turning off the third-party cookie-tracking option, users are stopping advertisers from collecting and storing personalized information about them. While this won’t stop advertisers from displaying ads to a user, it will prevent them from using the collected data and displaying ads that are relevant to the user – a process which some argue is violating their online privacy. Despite the decline of active cookies, they are still the number-one method for tracking users on desktops and laptops. But what about on mobile? Well, that’s a bit trickier. Mobile apps use a piece of technology called webview, which is used to display online content (e.g. website or app). The webview also stores cookies, similar to the way a browser stores them. However, the problem is that each mobile app and mobile browser uses a different webview space (commonly called “sandbox”) to store cookies, which makes it hard to track users across different apps and browsers even though they are using the same mobile device. Nowadays, it is not uncommon for users to have more than one mobile device, whether that be a personal smartphone and a work smartphone, a tablet, or even a handheld game console. This multi-platform usage makes it hard for advertisers to make connections and identify the same user across multiple mobile devices. So, if cookies are not delivering the effectiveness advertisers need, then what are the other options? One way advertisers can track mobile users is by capturing the device’s unique identifier, which is either set or made available by the operating system to mobile apps. Google’s Advertising ID (formerly Android_ID) and Apple’s Identifier for Advertisers (IDFA) (formerly UDID) are two examples of this. Compared to their predecessors, both the Advertising ID and the IDFA provide users with better privacy-management options and the opportunity to opt out of certain advertising and tracking activities. Another similar method involves collecting the device’s Open Device Identification Number (ODIN), which produces a unique identifier by taking it from the device’s WiFi MAC address. The ODIN is developed by the ODIN Working Group and offers anonymous tracking. This approach can work pretty well within one device, but the problem of cross-device tracking still persists. 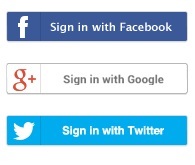 Companies like Facebook, Twitter, and Google allow users login to sites and apps using their existing credentials. Companies that provide users with this kind of universal login are able to track them across a number of different sites, apps, and devices; however, only a limited number of companies currently offer this option to users. Device Fingerprint uses an algorithm to identify the user based on the standard attributes passed on by the user’s device. These attributes may include device type, operating system, IP address, user-agent, and fonts. This method of tracking isn’t as accurate as others, as the attributes collected may change overtime due to device updates, and multiple devices could be linked to the same profile. This method of tracking uses algorithms that operate off a user’s device, using information provided by the device and its gateway to access the Internet. The Statistical ID method is a probability-based solution, which makes accuracy and stability hard to achieve. This tracking method is similar to the cookie-tracking method used in the desktop web environment. In the case of HTML5 cookie tracking, a small file similar to that of a cookie, is stored in the HTML5 local storage on a user’s device. The main issue with this method is that the file can only be set or retrieved when the browser is open and running, which means that tracking a user in the app environment would require the browser to be open in order to store the identifier – resulting in a bad user experience. Because of the disruption in user experience, Apple has already started rejecting apps that include this method of tracking. Even though the aforementioned alternatives to cookie tracking on mobile devices do offer advertisers some relief, a universal method that offers an accurate tracking solution and protects the users’ privacy is in dire need. And with the rise of smartwatches and wearable technology just around the corner, tracking users across multiple devices, apps, and sites is soon to become the norm. What is First-Party Data Onboarding and How Does it Work?